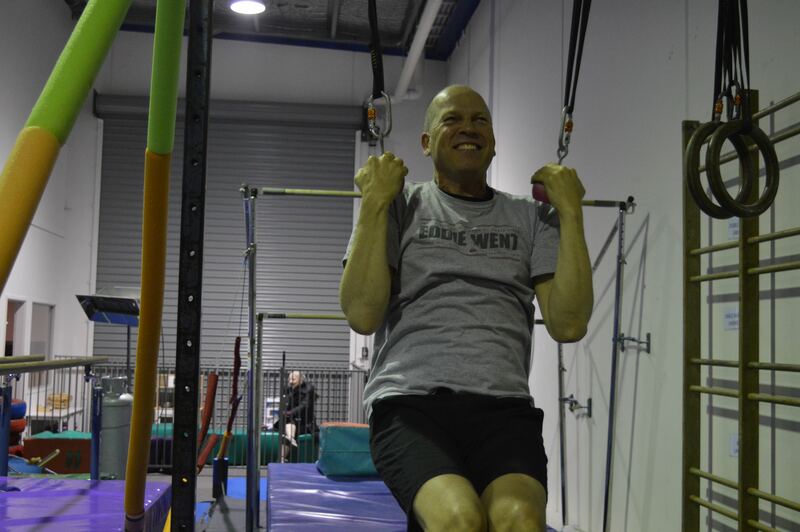 Peninsula Gymnastics offers adult classes to those 16 years + regardless of current ability or experience. These classes are designed to be fun, fast moving and utilize all the equipment in the gym to allow you to explore movement and use your body in interesting and different ways. Classes cater for a wide variety of ages and abilities and can be modified to incorporate skills which individuals may be interested in learning. These classes are suitable for someone looking to further their physical capabilities and are designed to challenge all individuals physically and mentally. You may be a retired gymnast, a crossfit athlete looking for some gymnastics coaching, a dancer or someone looking for a new way to challenge their body. Coached by our most experienced coaches, this class is sure to be a hit with adults who are looking for a challenge! The typical format for these classes includes a variety of warm ups, Gymnastics, FreeG, trampolining and other fun activities, finishing with strength and conditioning activities.